Cabernet Franc is a grape that doesn’t get much respect. I put various Cabernet Franc based wines in tastings from time to time and folks are underwhelmed. The wines usually represent solid producers in good to great vintages, but to no avail, people are not impressed. In cool climates the grape often produces wines with strong under ripe characteristics: green, stemmy with bell pepper and green olive notes. 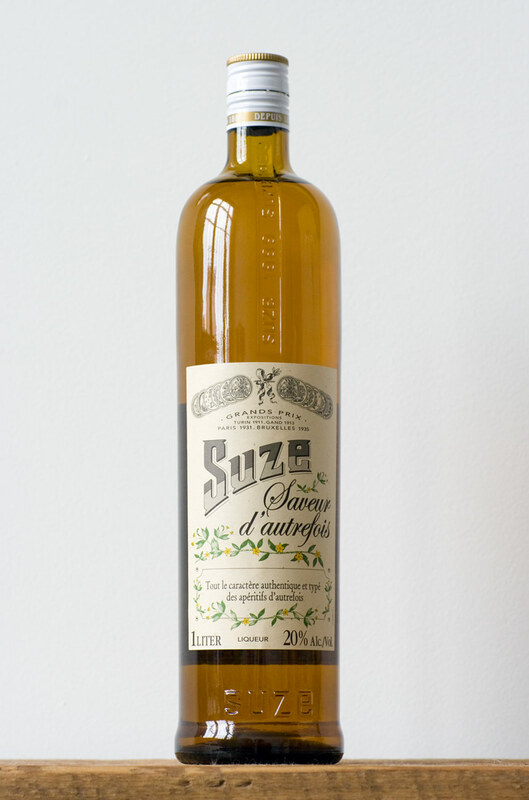 High acid with a pronounced tartness, the wines take contemplation to see the merits within. In warmer climates the grape ripens more fully, but the wines still lack the jammy lushness of its progeny – Cabernet Sauvignon. Cabernet Franc demands concentration and a willingness to look deeper inside the wine. “Yeah, thanks, but no thanks. I don’t need to struggle with my wine to find the greatness within. I want something that is obviously and quickly pleasing to my palate. I don’t want to spend 20 minutes contemplating my wine trying to find that elusive image of Christ hidden in the window.” So say most folks. As you might expect, I feel a tad differently. I will give more time to a wine that demands it, because I believe the rewards are worth it. Now that doesn’t mean that every tough, under ripe, mouth-puckering wine can be redeemed. Sometimes bad wine is just that: bad wine. However, when a wine with provenance and potential emerges from the mist, I will happily spend the time required to allow the wine to seduce me. Such is the case with many of the wines from Lamé Delisle Boucard, a 5th generation, family run winery in Bourgueil, France. 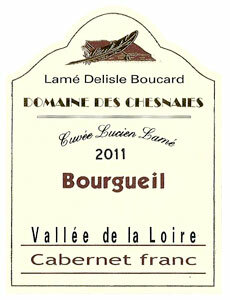 Bourgueil is an Appellation d’Origine Contrôlée (AOC) for wine in the Loire Valley, and produces primarily red wine from Cabernet Franc grapes. Lamé Delisle Boucard was founded in 1869 by Pierre Guyot. Pierre’s son Jules Lamé took advantage of the lessons learned during the phylloxera epidemic, planting some of the first fully-grafted vineyards in France. Through numerous wars and other hardships, the winery passed through the hands of successive generations, each one adding vineyard land and a reputation for quality wines. Today the great great grandchildren of the original founder manage and run the operation, infusing their wines with the passion of five generations of French vignerons. The winery is relatively small, with approximately 100 acres of vineyard parcels peppered within the commune of Bourgueil. The vineyards are each on choice parcels with a good variation of the region’s unique soil types. The soils are a mix of clay, silica and limestone, which is evident on the palate. The average age of the vines is 35 years, which contributes to the immense complexity of the wines. I have been following Lamé Delisle Boucard since I stumbled across their magnificent 2005 Cuvée Prestige, a tremendously brooding Cabernet Franc that has fantastic aging potential and layer upon layer of complexity. I recently picked up two more wines – the 2009 Cuvée Prestige and the 2011 Cuvée Lucien Lamé. Both wines have great potential and demand time and concentration, which will be rewarded handsomely. Ripe, cherry nose with floral and mineral hints. Medium-bodied with moderate acidity and firm, dry tannin – good balance. Sour cherry on the palate with mint, fresh herb and chalk notes. Moderate length with a dark and brooding finish. Smooth. Drinking well and will improve with another 3 to 5 years in bottle and quite possibly beyond. Great value. Ripe, jammy nose with bright fresh cherries, wild flowers and fresh mint hints. Medium-bodied with moderate acidity and firm tannin – well balanced. Tart, sour cherry palate, structured with red currant, bramble and wet stone notes. Moderate length – smooth. Not as complex as the Cuvée Prestige, but very pretty. Drinking well and will improve for another 2 to 3 years in the bottle. Great value. Both wines are great values, with enough structure to age for several years, further rewarding the person with patience. By the way, I had their 2010 Rosé last year – in a word – stunning! Summer is a time for easy drinking, high-value wines that require very little thought or demand even less contemplation. The wines of summer should be light and refreshing, pairing well with the usually light repasts or foods from the grill. At this event we will examine several wines, white, rose and red that are light, refreshing and represent good value along with a selection of artisanal cheeses and breads. I love The Negroni (https://blog.musingsonthevine.com/2011/10/02/the-negroni/) – As I wrote, it is perhaps one of a few perfect cocktails… In my humble opinion. So how does one improve upon such a delicious libation? Think white… or golden-hued, at least. Shake the ingredients with crushed ice, vigorously. Strain into a cocktail glass. Garnish with a lemon twist. As promised, we just conducted match-up number five and have the following to report. California clearly clobbered France! A somewhat unexpected result, although the panel was unanimous in stating that this meeting was the best/hardest match-up yet. Each of the panelists had an admittedly difficult time picking their top three favorites, with many vacillating during the tasting. France’s lead is narrowed to 3 – 2 in overall wins. Point-wise the French have 149 points to Napa’s 140 points, again holding a narrow lead. One of our panelists did point out that the Lafite did have the most first place votes of any wine, suggesting that the wine with the most first place votes could be construed the winner and by association, the country of origin of said wine could be called the winner. As tempting as I was to let France rule the day as a result of the fine showing of the Lafite, I allowed a more balanced approach to sort out the results. In the end, clearly California outpaced France. A few observations are in order… The Bordeaux wines were appreciably older than their Californian counterparts. This was by design and what the group found was that the French wines were all nicely mature with layers of complexity, integrated tannins and impressive structure for wines approaching the quarter century mark. None were tired or showing their age. Truly a testament to a great wine in a great vintage. The Californian wines were also showing very well, but it was clear that with the exception of the Chimney Rock, the 1997 wines were on a downward slide. After spending an hour or so in the glass, the French wines were still vibrant, whereas the Californian wines were muddled and tired. This had been my assumption going in, hence the match-up. Should be fun, as usual! One of my favorite cocktail books is Ted “Dr. Cocktail” Haigh’s Vintage Spirits and Forgotten Cocktails, it is truly an epic tome filled with some of the best classic cocktails. I love Scotch… and sometimes I like to have more fun than just pour it neat with a few splashes of spring water… I also like rarities… Scotch cocktails, as Mr. Haigh points out, are indeed rare. 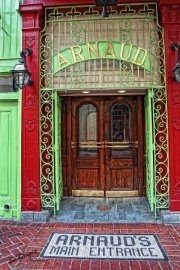 According to Mr. Haigh, Arnaud’s Special Cocktail “was the signature cocktail of the legendary Arnaud’s Restaurant in New Orleans” during the 1940’s and 1950’s. Another famous classic to come from Arnaud’s was the French 75, which is currently the reigning signature drink.